This Tea is Lean and Green. 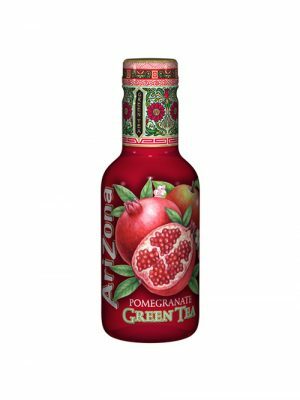 With only 20 calories per bottle Green Tea with Honey is the ultimate sweet and slender refreshment. 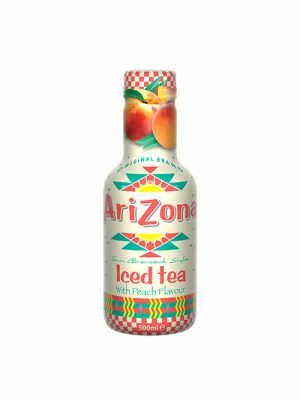 Talk about pure iced tea enjoyment, AriZona Peach Tea has long been a staple in our premium black tea line up. It has a refreshing peach taste that goes down smooth and finishes clean. You’ll be finished with it before you know it! This award-winning package has been a hit since it’s introduction in 1996. 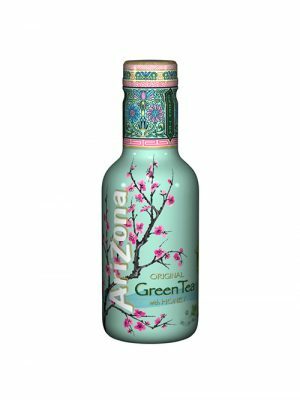 Enjoy America’s #1 best selling green tea! While green tea has long been known for its health benefits, our green tea also tastes great. Enjoy this tea made with 100% natural tea, ginseng, and America’s favourite Sue Bee ® Premium Orange Honey. Not too tart, not too sweet… Zero guilt with this 20 calorie treat. It will feel like summer all year round with Half Iced Tea & Half Lemonade. Pomegranates are packed with antioxidants, vitamins, folic acid and other healthy stuff. And when blended with our all-natural green tea, it makes for a scrumptiously healthy drink. 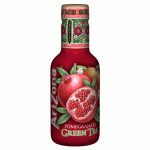 AriZona Pomegranate Green Tea also contains ingredients like Panax Ginseng, Selenium and Vitamins A, C and E.
The original brand sun brewed style lemon flavour iced tea that put AriZona on the map! Our first and most popular flavour has a taste big enough to cool down any thirst. Try some today and find out what everyone is talking about. 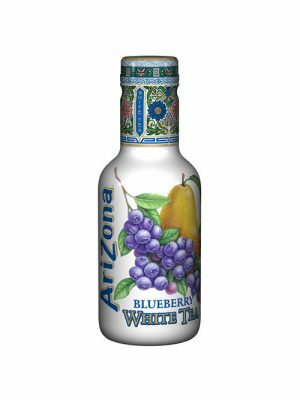 AriZona’s first white tea introduced in 2005 combines the natural antioxidant goodness of blueberries and the light delicate taste of white tea. This antioxidant-formulated beverage also features Vitamins A, C, and E, Selenium, and Panax Ginseng.